Adult men: Take 2 softgels daily with food or as directed by your health-care practitioner. If you are taking other medications, take this product a few hours before or after them. For some men, 1 softgel daily may be enough to give results. Consult a health-care practitioner for use beyond 4 months. Contains no: Preservatives, artificial flavour or colour, dairy product, wheat, gluten, yeast, GMO, or solvents. Duration of use: Consult a health-care practitioner for use beyond 4 months. Cautions and warnings: Consult a health-care practitioner if symptoms persist or worsen. 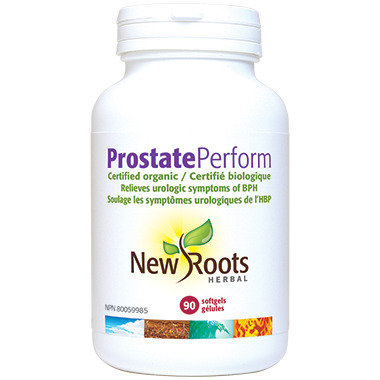 Consult a health-care practitioner prior to use if you have a history of kidney stones; to exclude a diagnosis of prostate cancer; or if you are taking blood thinners. Zinc supplementation can cause a copper deficiency. Note: Improvements should be noticeable after 7–10 days. Store in a cool, dry place, away from heat and sunlight. Do not use if seal is broken. Keep out of reach of children.